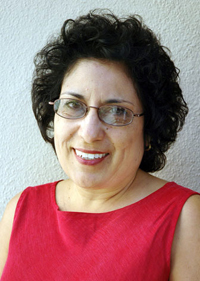 Patricia Zavella's new book is the result of 13 years of research among immigrant populations. Zavella conducted life histories of 76 people. Patricia Zavella was in for a surprise when she compiled data from a survey of Mexican immigrants in Santa Cruz and Watsonville. The UC Santa Cruz professor of Latin American and Latino Studies (LALS) was well into her ethnographic research on how immigration influences experiences of family, work, and identity among Mexican Americans and migrants. Scores of interviews were already complete and she and others in the field had long heard of "chain migration" to the central coast from the Mexican states of Michoacán and Jalisco. People in one village in Jalisco told her there were more residents from the village living in Watsonville than in the village itself. But survey data told a different story as she writes in I'm Neither Here nor There, Mexicans' Quotidian Struggles with Migration and Poverty (Duke University Press, 2011). 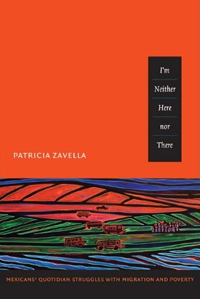 Zavella describes in her new book how poor and working class Mexican Americans and migrants struggle for agency and identity in Santa Cruz County. "It was an incredible surprise," she said of all the places people were from. What she found common, however, was ambivalent feelings of identity by migrants and by Mexican Americans. Zavella's book is based on research from 1993 to 2006. She conducted life histories of 76 people to document their experiences related to migration and poverty. One phenomenon she describes is residents' "peripheral vision," that "signals ways in which people always have Mexico in the back of their minds"
Even citizens of Mexican background raised in the United States have peripheral vision, Zavella found. "'Should I go back? Should I raise my children to be good Mexicans here?'" The new residents struggled with who they were and who they should be. "Others assume they are immigrants or treat them as immigrants," she said, "so for them, they think of their Mexican heritage and what their relationship is to Mexico." The interviews were difficult, she recalls, particularly in the beginning as people struggled with feelings of how they were treated by U.S. society. There was "such anti-immigrant fervor," she said of the era when California's Proposition 187 touted as the "Save our State initiative" sought to cut education and benefits to illegal immigrants. "I had to take a break, I thought, 'I can't bear to make someone cry again.'" Zavella said that despite a recent increase in anti-immigrant feelings, she's seen many changes since her research began 18 years ago. "People are moving away from feeling demoralized," she said. There has been a shift to where "people begin to say, ‘I'm undocumented and so what, I'm here to work.’" She analyzes how this political shift can be seen in the performance of music as sites where musicians, cultural activists and audiences construct cultural memory and community. She also sees more organizing and support on behalf of the undocumented residents. "There is a pan-racial, pan-ethnic solidarity out there that is untapped and can be mobilized." Zavella is hopeful the Obama administration will show some movement toward immigration reform. Proceeds from book sales will be used to fund an endowment in LALS for grants for books for students.